"Study Abroad: Tips & Tricks"
Studying abroad is a very possible dream for many people these days. Various financial aids could raise the chance for everybody to experience study outside their home countries. Therefore, you need to fully understand the path to get you there. 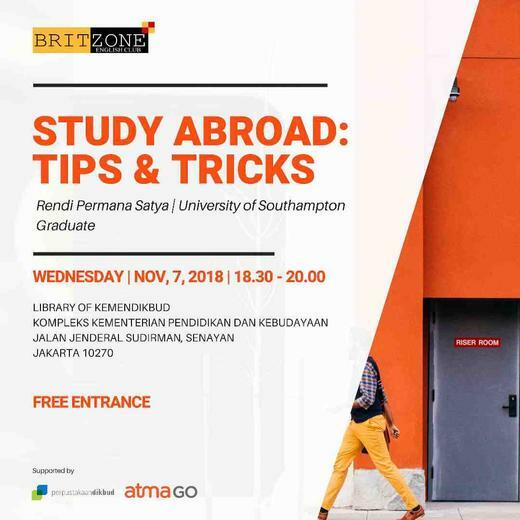 In tonight’s class, we are about to discuss the essential tips and tricks to prepare you to study abroad. Starting off preparing for the tests, writing a personal statement and understanding the keys to finish your study.